January 18, 2018. Kathmandu: The Communist Party of Nepal (Revolutionary Maoist) has seized about 25 Bighas (About 16 Hectares) of land at Simarah tole of Ward No 7, Dudhauli Municipality, Sindhuli. Navin, the Secretary of Sindhuli district, has publicly declared that the Ailani Land (unregistered land), to which UK settled Ratna Bahadur Tamang, who originally resided in Katari Municipality-3, Udayapur was trying to register in his name, has been captured. 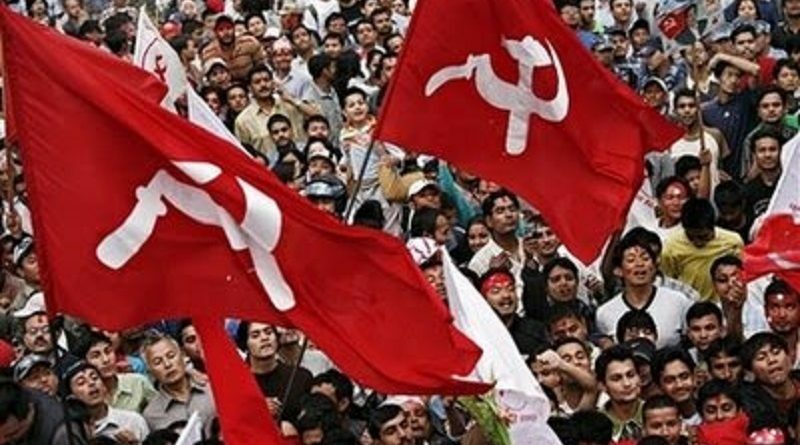 It has been publicized that a team of Revolutionary Maoists led by the secretary Navin had seized the land by hoisting party flag in the land in participation of the local masses. According to secretary Navin, party is preparing to distribute that land to the landless people. Navin said landless people had been staying there since before the initiation of people’s war but later Tamang had conspired to register the very land in his name and remove the landless people staying there. Navin said Tamang had even spent a huge amount of money through local land mafias to bribe the local administration.